Visiting the Kirtland Temple was a well-planned and long-anticipated visit. 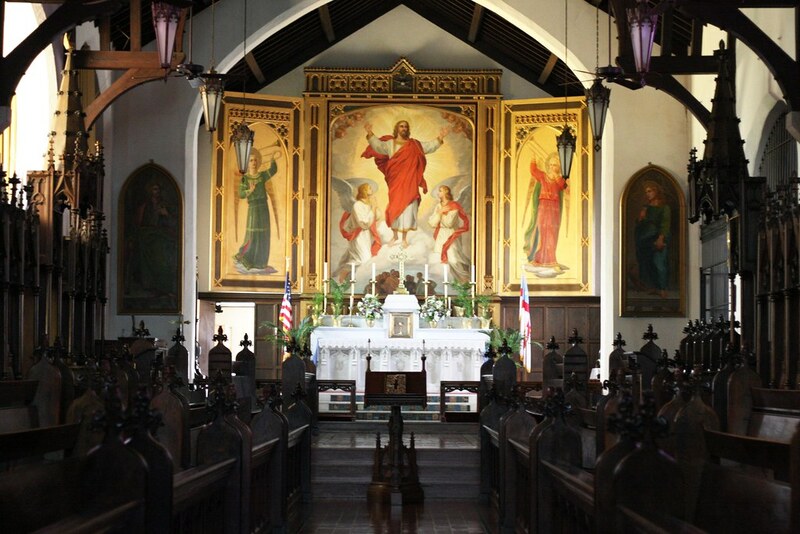 Visiting the St. James Memorial Chapel was anything but! I was driving from the Kirtland Temple to Wisconsin, taking my sweet old time (mostly) avoiding the toll road, when I saw a sign for “Howe Historical Chapel – Next Exit” just after entering into northeastern Indiana. Well, at the rate I was going, it was either sit in Chicago traffic at the beginning of rush hour or the end of rush hour, so I decided to go check it out. Although I went to school in Indiana, I’m not too familiar with most of the state. So, hearing about the history of The Howe School (where the St. James Memorial Chapel is located) was a new experience for me. 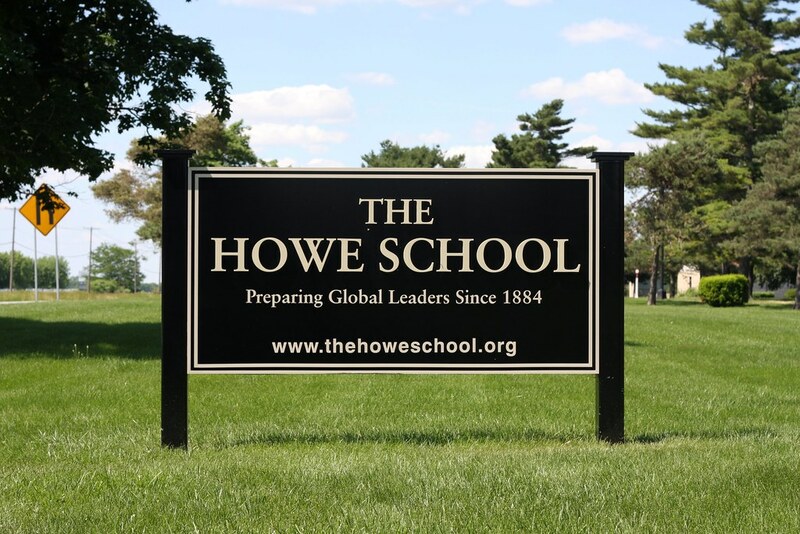 The Howe School was started in 1884 initially as a private boarding school, soon morphing into a way for young men to prepare for priesthood in the Episcopal Church. 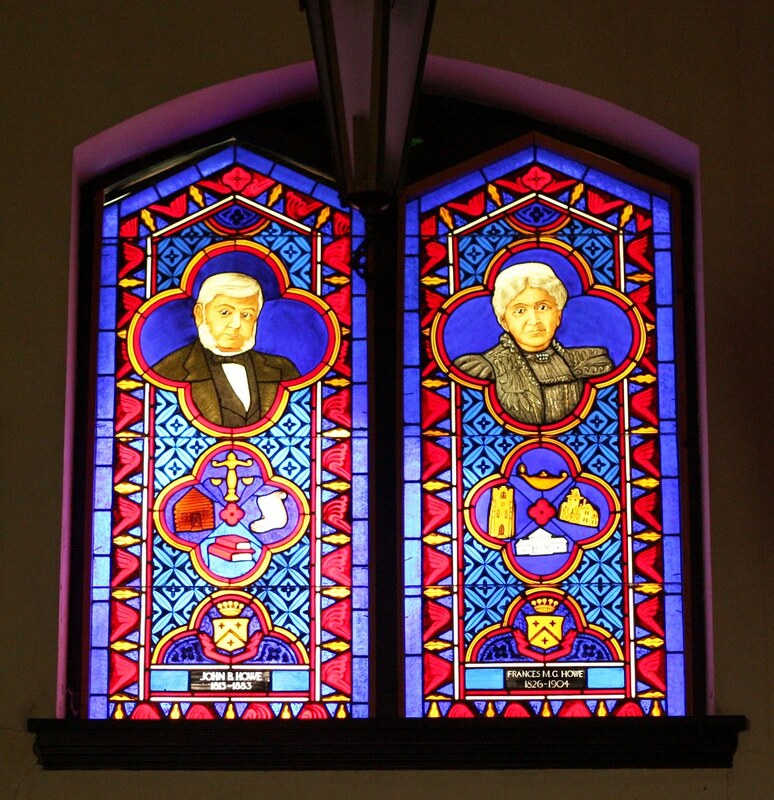 While the school was founded by the Honorable John Badlam Howe, the chapel was built in memory of his half brother James, who died in 1896 and left a large sum of money for this purpose. 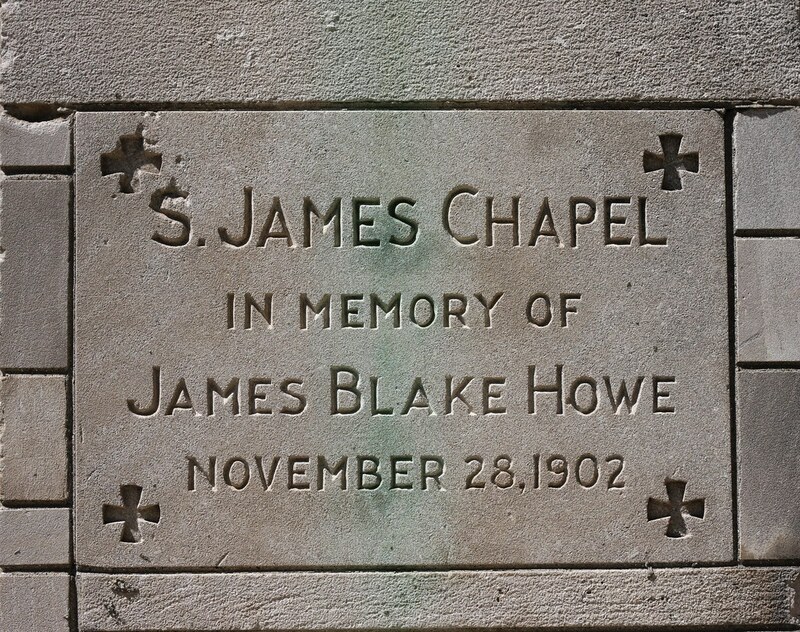 The cornerstone of the chapel was laid in 1902, 20 years after John Howe passed away. His wife and the current bishop of the diocese carried out the vision for the chapel. The school is still active, and had apparently let out recently, as repair crews were throughout campus fixing up various buildings. This included the exterior of the chapel, so I was able to sneak in unannounced. No lights were on, so these pictures lack some details, but it’s gorgeous inside. What little light there was was provided from the stained glass windows along the tops of the chapel. 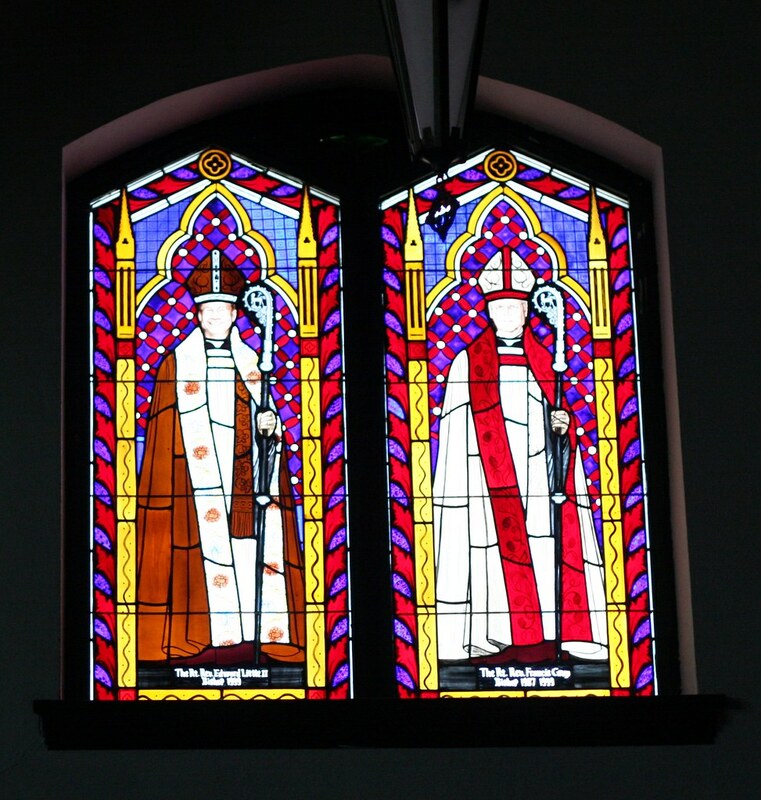 One side depicted various bishops of the area, while the other had those who were instrumental in founding the school. The third photo below is of the Howe couple mentioned above. 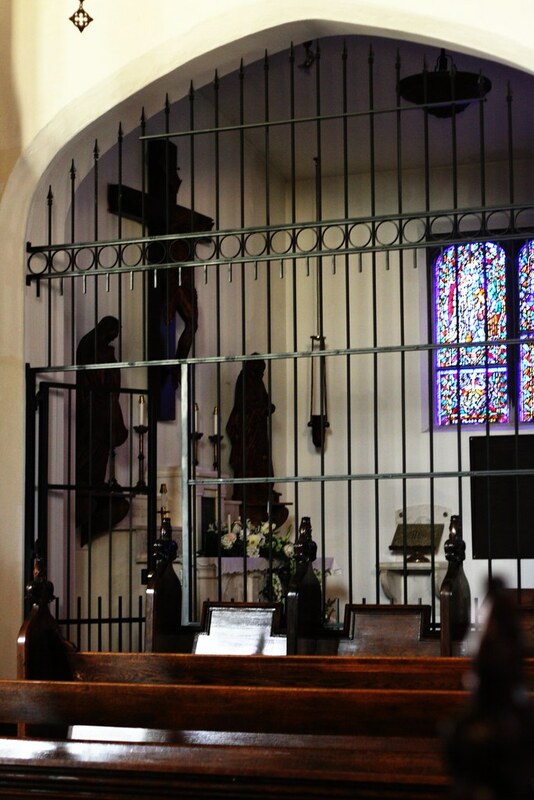 To the right side of the chapel (if you’re facing the altar) is the Mother’s Chapel with a depiction of the Stabat Mater. 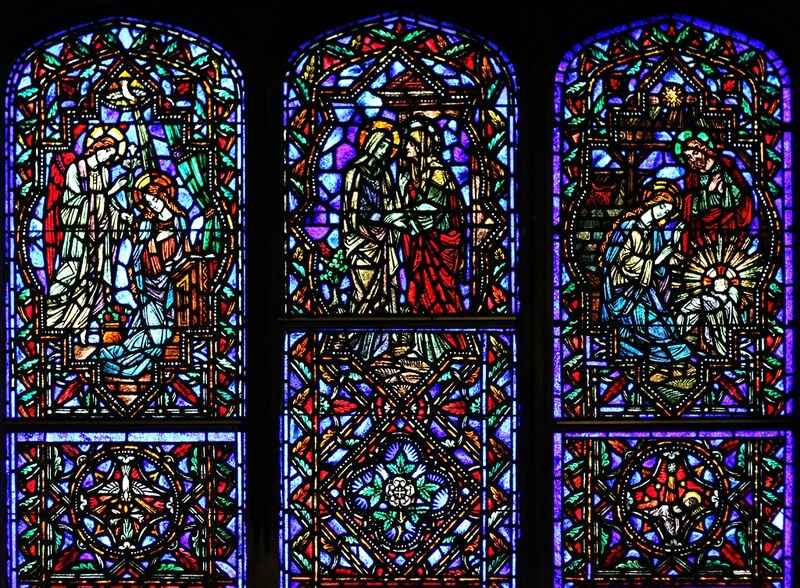 There’s also two intricate stained glass windows which depict important events in the life of Mary, as well as some of Jesus’ ministry. 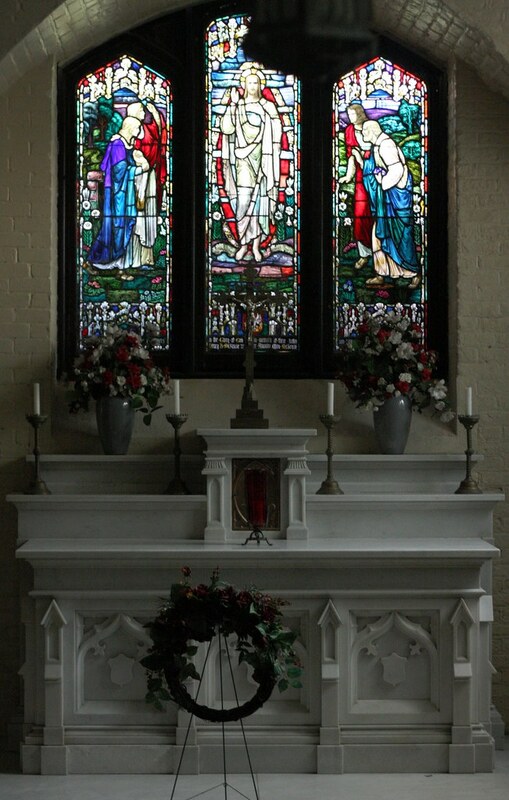 Beneath the stained glass is a plaque commemorating the deceased mothers of graduates of the school. I was busy taking pictures when one of the repair workers caught me inside. He didn’t seem to mind too much that I was in the chapel, and offered to show me the crypt. I definitely would’ve missed this part if he hadn’t shown up! If you exit the Mother’s Chapel from the back, there’s a staircase that winds around to the crypt chapel. 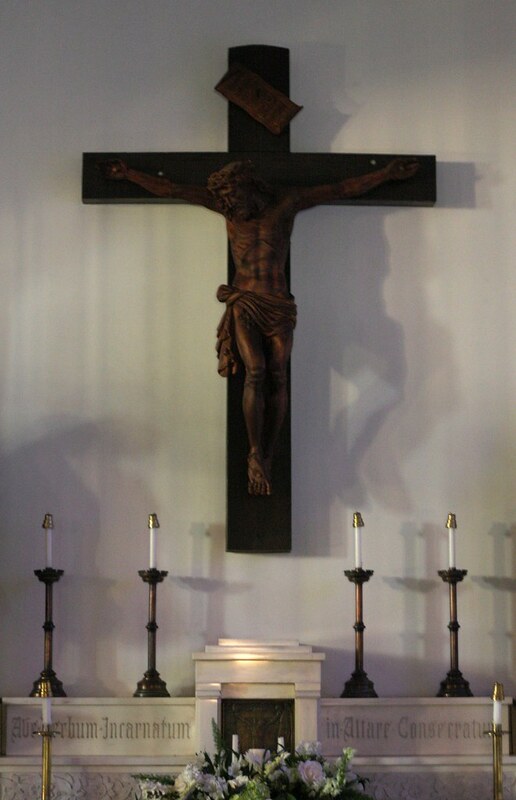 The first thing you see is the altar, and then to the left are the deceased. There are (from what I could tell) 9 people buried in the crypt, in addition to a few memorial plaques. John Howe and his wife are interred here, as well as the first four bishops of the Episcopal Diocese of Northern Indiana and three of their wives. The fifth bishop of the diocese was buried elsewhere. They do maintain a list of all the bishops in the history of the area though. 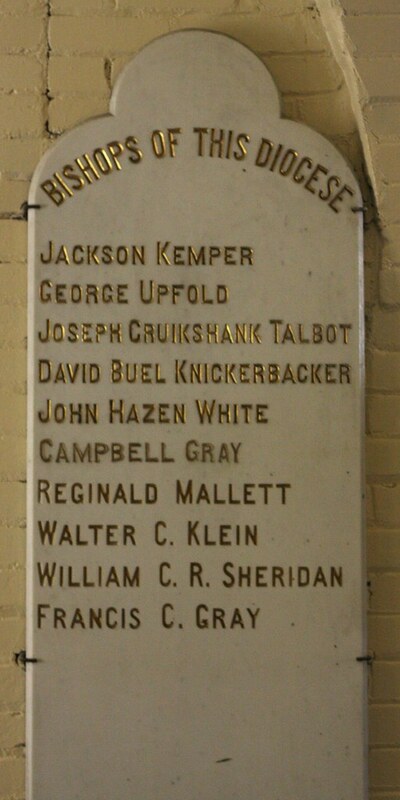 In 1895, the school became a military high school, and is only one of 28 military high schools in the US. 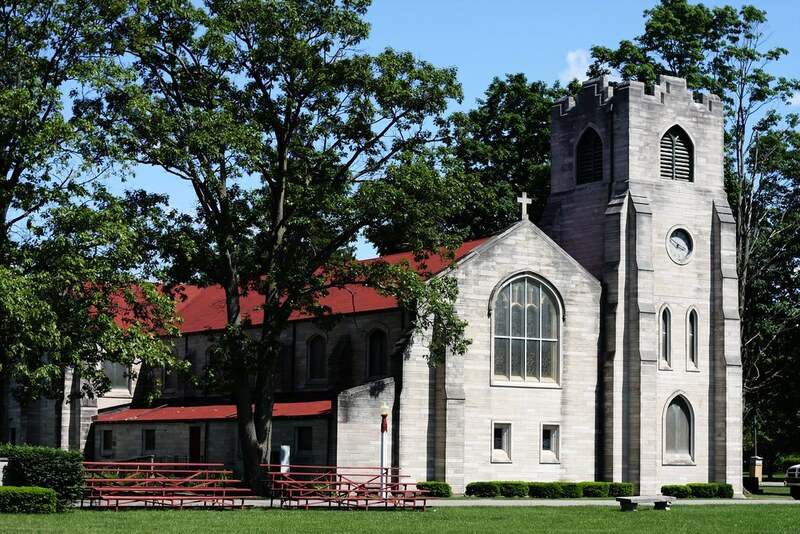 The school still maintains its religious affiliation, and students are required to attend services on Sunday and throughout the week as scheduled (usually Monday, Tuesday, Thursday, and Friday). As a side note, I’m aware that Anglican vs Episcopalian is a delicate distinction in the US, and to be quite honest, it’s tough to keep straight who belongs where. So, I’ll likely just tag Episcopalian as Anglican, although the post may be more explicit. Nice write up, however John Badlam Howe passed in 1882 two years before the school was opened in 1884. No problem , I did go to Howe for 2 and a half years in the early 90’s. I do see you got a chance to edit the article. Thanks again for the write up!